Welcome to Direct Advantage LLC! 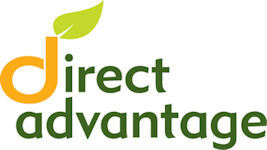 Direct Advantage is the supplier of choice for your fresh produce contracting needs. We are a premier Grower/Shipper and source supply solution for your fresh produce program. We specialize in customized produce solutions for your long-term supply requirements. From leafy greens, tomatoes, broccoli and carrots, to a wide array of other commodities, we can design a fixed price, year-‘round or seasonal program to meet your specifications. We provide competitive, high quality supply programs for restaurant foodservice, foodservice distributors, retail grocers, club stores and food manufacturers. Please visit our site and familiarize yourself with our programs and capabilities, and then visit the ‘contact us’ tab to start a supply project for your organization.